Our work is founded on prayer. We can never overestimate the importance of committing what we do to God. We’d love you to join our Prayer Team and be part of making an eternal difference in so many lives. We’re on a mission to end poverty – for good. God placed it in our hearts to expand our services to America because we want to bring hope to more lives affected by the devastating impacts of poverty. Today, people will miss meals. Tomorrow, they will choose between heating their homes or having clean clothes. They will feel trapped, isolated, and left with nowhere left to turn when poverty strikes. We want them to know that debt is never the end; CAP is here to offer the emotional and practical support to get their lives back on track. Can you donate today to help pioneer CAP America? You’ll be planting the seeds for our work here to open CAP Debt Centers and run CAP Money Courses. You can give a one off or regular donation. On behalf of those currently suffering in silence, thank you. So, you want to work at CAP… We can’t stand poverty. We’re on a mission to see people and families right across America released from poverty and it’s causes. We won’t stop and we won’t back down, because the next person we save is worth it. We do things with compassion, generosity, professionalism and a big helping of joy. Will you join us and show poverty who’s boss? With daily prayer times, flexible working hours, and a culture of having fun, there are many reasons to join the team at CAP. But the biggest benefit is knowing that every single day, your poverty-busting work is saving families, homes and even lives. So, if you’re passionate about serving the poor, have great communication skills, and a drive for evangelism, then CAP could be for you! Christian Credit Counseling Manager - Click here for more information. Want to hear the amazing stories of the people we’ve helped? Stay up to date by filling in your details below to sign up for our regular mailings. Show hundreds of families God’s love in action as they are given a real solution to their debt crisis, changing their lives forever, by leaving a gift to Christians Against Poverty in your will. They will no longer fear the bills arriving in the post. They will be able to sleep at night and their health will improve as they are freed from the worry and stress that debt brings. Marriages will be saved and families kept together. Many will receive the gift of eternal life as they come to know Jesus, and you leave an eternal legacy. To leave a legacy, you will either need to create a will or amend your existing will. When I became pregnant with our first child, it dawned on me that, without a will, we wouldn't have a say in who brought up our daughter if both my husband and I passed away. That gave us the kick we needed to get one made and, because we were already passionate about CAP, we decided to include a legacy to make sure we continued to sow into their work after we were gone. 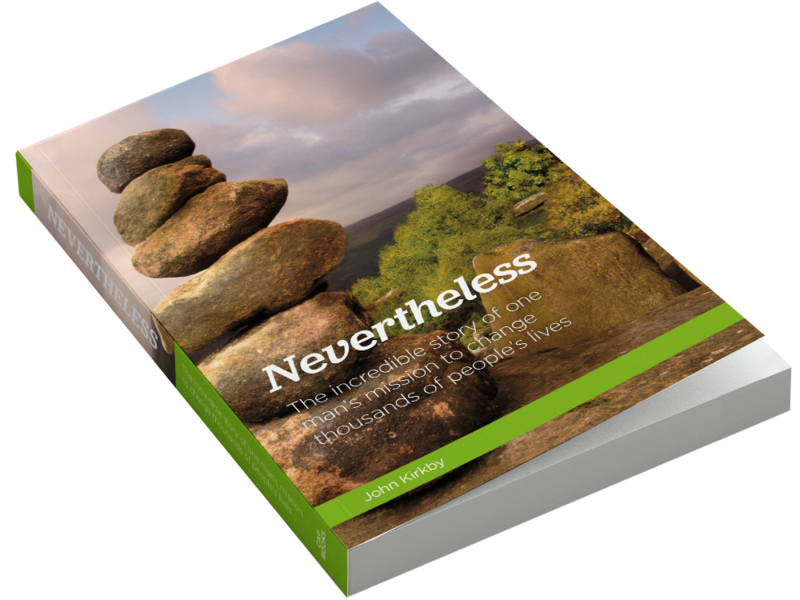 Faced with seemingly impossible challenges, John discovers what it means to trust God against all odds, and to meet each obstacle head on with a ‘nevertheless spirit’!